The Department of Diplomacy (hereinafter referred to as 'Diplomacy') is formed by Article VI of the Constitution of FEDERATION COMMAND with the purpose of establishing and fostering good relationships with FEDERATION COMMAND and foreign Fleets whom are deemed worthy of contact and to maintain those contacts therein after. This Charter is designed to outline the role and structure of Diplomacy policies and procedures as lawfully promulgated. Diplomacy will be commanded by a Director of Diplomacy and a Deputy Director of Diplomacy whom will assume the positions of Commanding Officer (CO) and Executive Officer (XO) respectively. 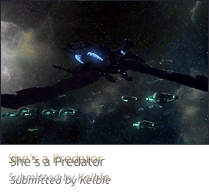 Diplomacy will be responsible conducting all diplomatic relations for the FEDERATION COMMAND with foreign Fleets. The structure of Diplomacy, including any sub-departments, is at the discretion of Diplomacy Command. Any Officer of FEDERATION COMMAND at or above the rank of Ensign may be accepted into Diplomacy. Diplomacy Command has the responsibility to conduct admissions and training as deemed appropriate. All inter-fleet relations drafted by Diplomacy will receive final approval from the Executive Committee (or Fleet Admiral) or Council of Admirals, before they are signed into Federation law. The choices made by Diplomacy in signing treaties are to be made with the best interests of FEDERATION COMMAND in mind. They are not to be based on personal feelings or affection for others. Diplomatic relations with other Fleets should be highly sought after and developed, and alliances should be held for legitimate and valid reasons. Diplomacy Officers will conduct themselves with the utmost levels of professionalism and maturity. They are expected to use proper English spelling and grammar, maintain professional attitudes when representing FEDERATION COMMAND, and remain neutral and non-argumentative. Diplomatic Officers shall furthermore do all that is possible to not allow FEDERATION COMMAND to become involved in conflicts with foreign Fleets. 7. Power to begin negotiations for all pacts, mergers and alliances. 5. May begin negotiations for Non-Aggression Pacts. Ratified by the Council of Admirals on 29th July 2011.